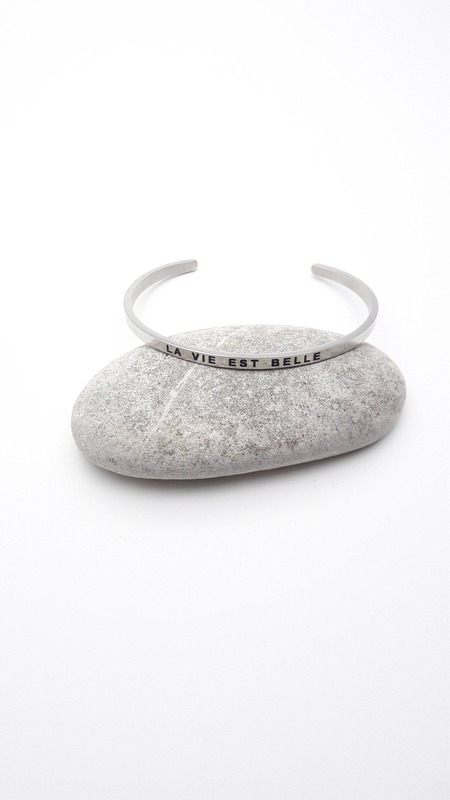 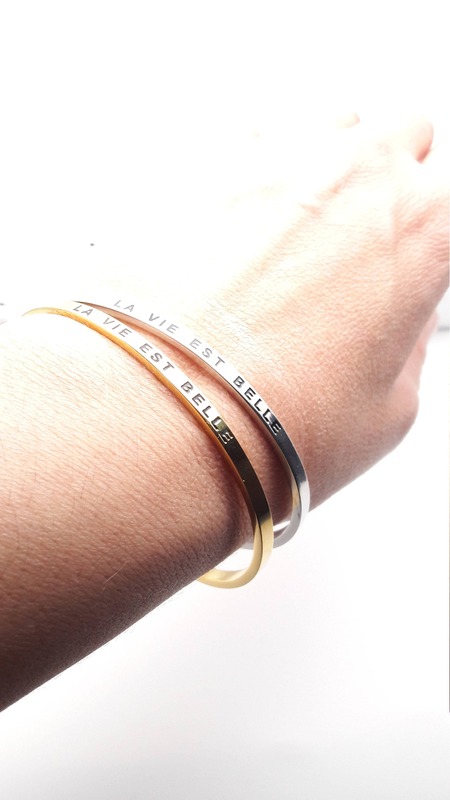 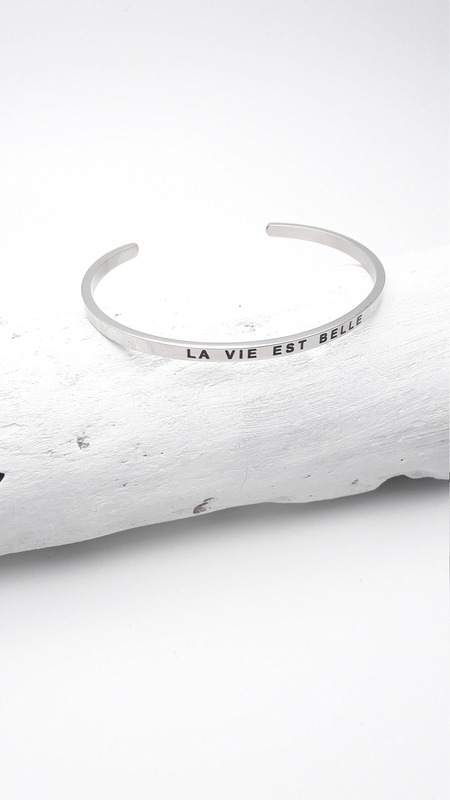 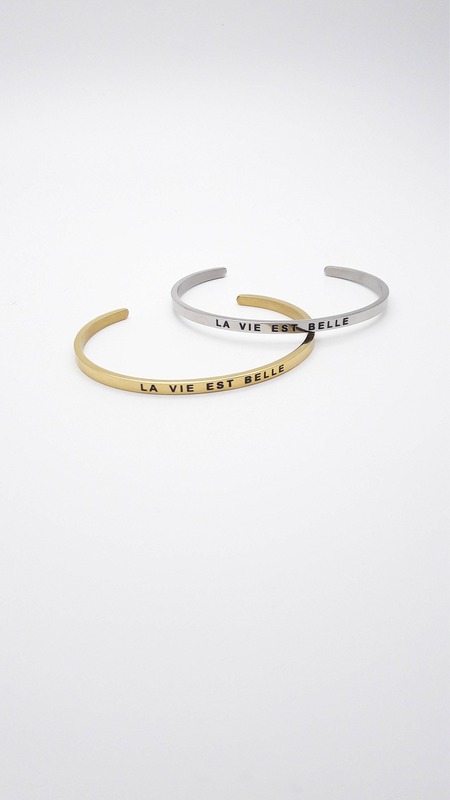 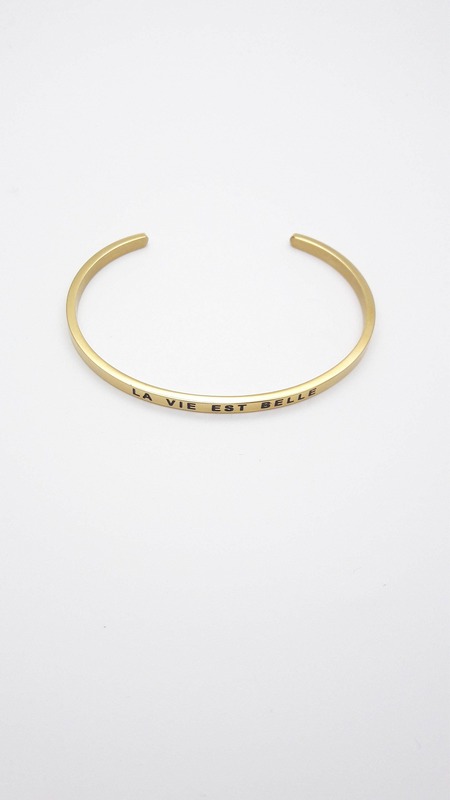 Bangle bracelet with positive message : "La vie est belle" "Life is beautiful" in french. 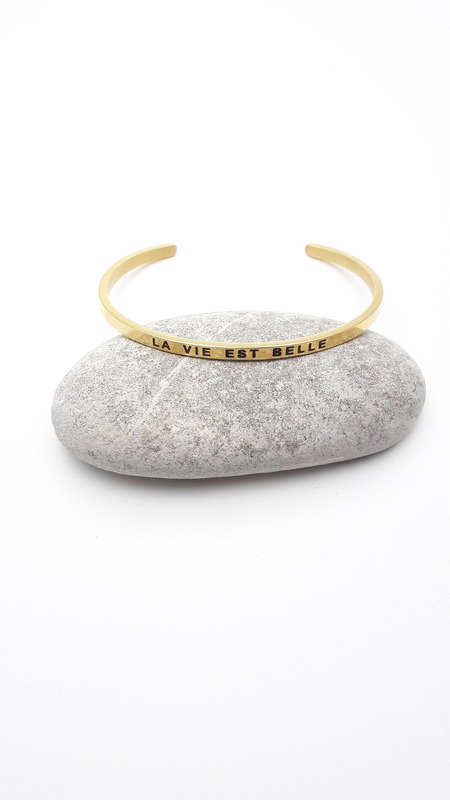 Minimalist, hypoallergenic and slightly adjustable bracelet. 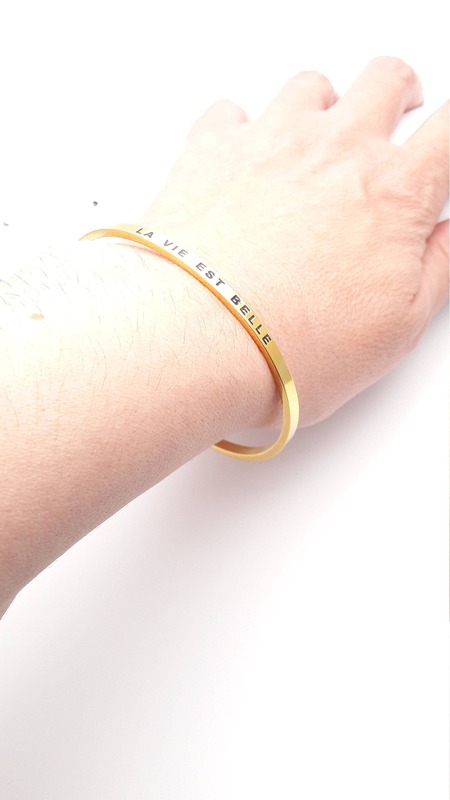 It is made with gold plated 18k stainless steel or silver plated stainless steel. 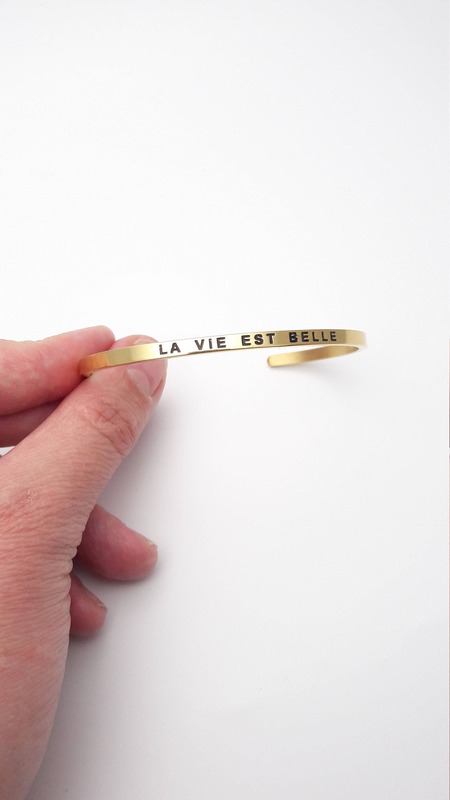 The bracelet is 68 mm x 50 mm and 4 mm height. 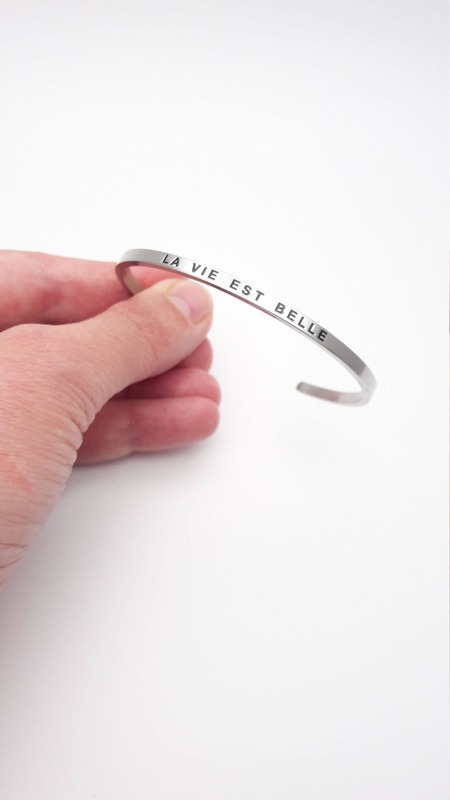 This listing is for 1 bracelet. 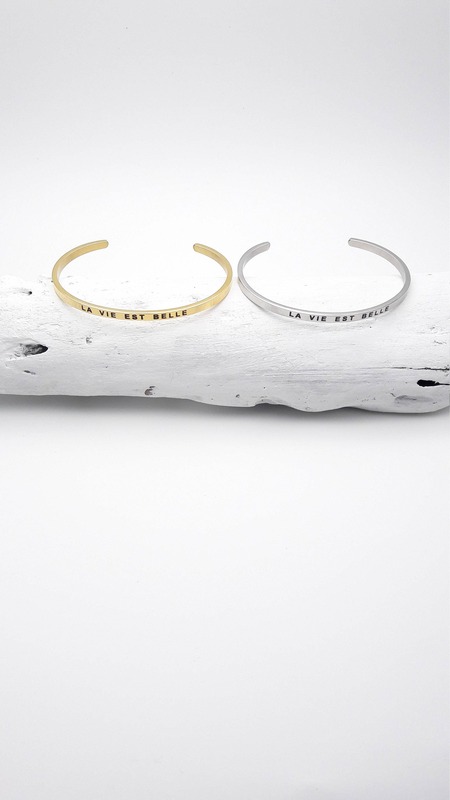 Color to choose : silver or gold.